The spirit of Scheherazade animates this first novel about a midlevel Pepsi executive working in Pakistan, Marc Laurent, who is kidnapped by terrorists and held for ransom. Unfortunately, Marc was already personally estranged from everyone he knows back in the U.S. While his captors try to figure out what to do with him, blindfolded Marc is befriended by a woman who asks to be called Josephine and seems to have an upstate New York background. When she finds out that Marc has a 19-year-old daughter, Claire, who was murdered a month ago, and he didn't even go home to attend her funeral, Josephine begins spending their time together making up a narrative of what Claire's life might have been like if she hadn't died. In her story, Claire is 34 and lives with her husband, Jack, and their young daughter, Lucy, in California, where they operate a small motel. When she hears that her estranged father is in the hospital, Claire drives east to Michigan to see him. On the way, she picks up a hitchhiker named Genevieve, who spends their time together spinning out for Claire stories of Marc's life after he divorced her mother. 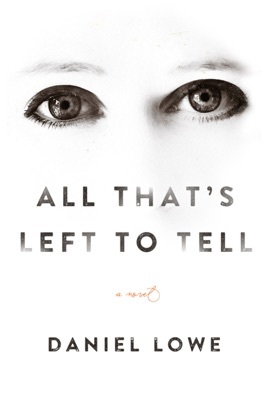 Not since Kevin Brockmeier's The Truth About Celia has a novel made a more dramatic case for the importance of stories as a way to deal with life's tragic events. Despite one too many meta-games with the reader, the characters here remain real and memorable, a credit to Lowe's storytelling skill.